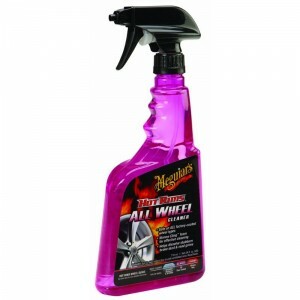 Meguiar's Hot Rims Wheel Cleaner is specially formulated to make sure the wheels on your boat trailer stay looking clean and shiny. Meguiar's Hot Rims Wheel Cleaner is specially formulated to make sure the wheels on your boat trailer stay looking clean and shiny. Can also be used on your car or any other wheels you might have laying around.